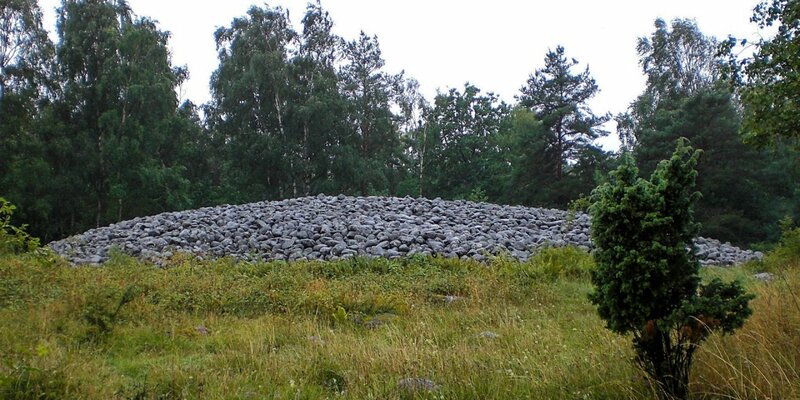 Gettlinge Gravfält is one of the largest and certainly most beautiful prehistoric burial sites on the island of Öland. 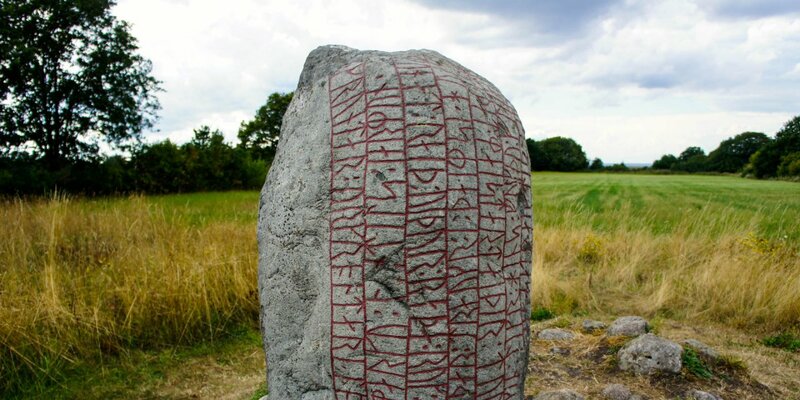 It is easily accessible next to the Länsväg 136, between the villages Klinta, Gettlinge and Gårdstorp. The grave field extends over a total length of approximately two kilometers with a good view over the Kalmar Strait. The most worth seeing part of Gettlinge Gravfält with the largest number of different stone settings is located between Klinta and Gettlinge. 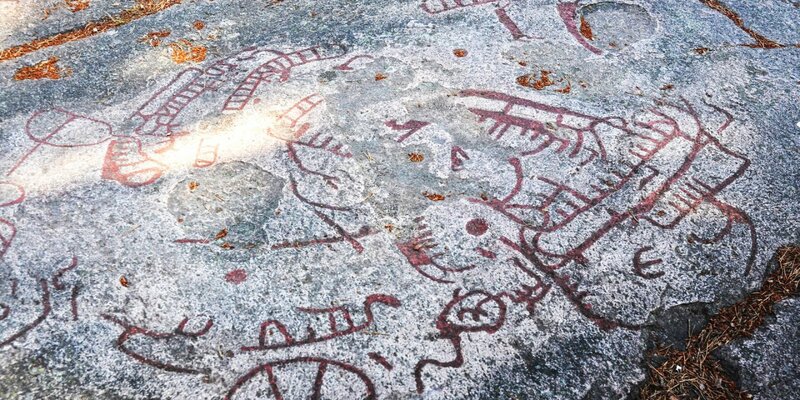 Including an impressive, 30-meter-long Bronze Age stone ship with 23 granite boulders. Beside are two strikingly large, about three meters high limestone blocks which underline the importance. 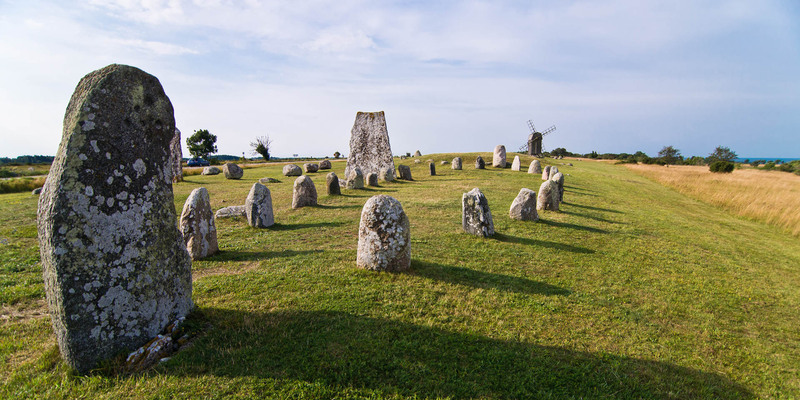 Furthermore there are so-called Domarringar (judge circles), in the typical Öland version with round stones, each mounted on three smaller stones. Also other stone settings in square and rectangular shape can be found. The entire burial site once consisted of about 250 graves, most of them were typical Bronze and Iron Age tumuli. 15 of the over 200 remaining graves have been examined archaeologically. The studies have noted a use of the grave field over a period of about 2,000 years - from about 1000 BC. to 1050 AD.